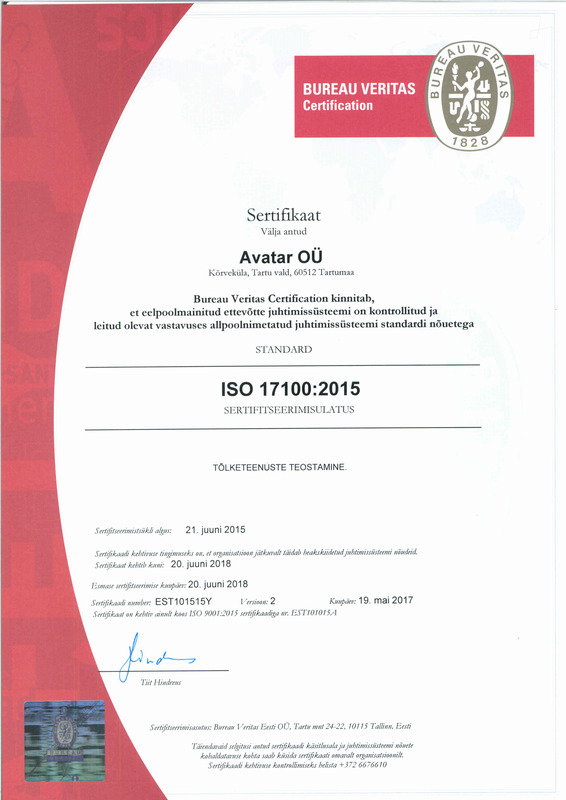 Bureau Veritas Estonia regularly monitors the activity of Avatar Translation Bureau, and since 2012, Avatar Translation Bureau holds the certificates of the Quality Standard for Translation Service Providers ISO 17100:2015 and Quality Management Standard ISO 9001:2015. The purpose of the Quality Standard for Translation Service Providers ISO 17100:2015 developed by the European Standards Organization and issued to Avatar Translation Bureau is to determine and define quality service requirements for a translation service provider. The standard involves the translation process and all the aspects of service provision, including guarantee and traceability of quality. The standard establishes specific requirements for translation service providers for work force, technical resources, quality and project management, as well as standard conditions of agreements and operation procedures of service provision. 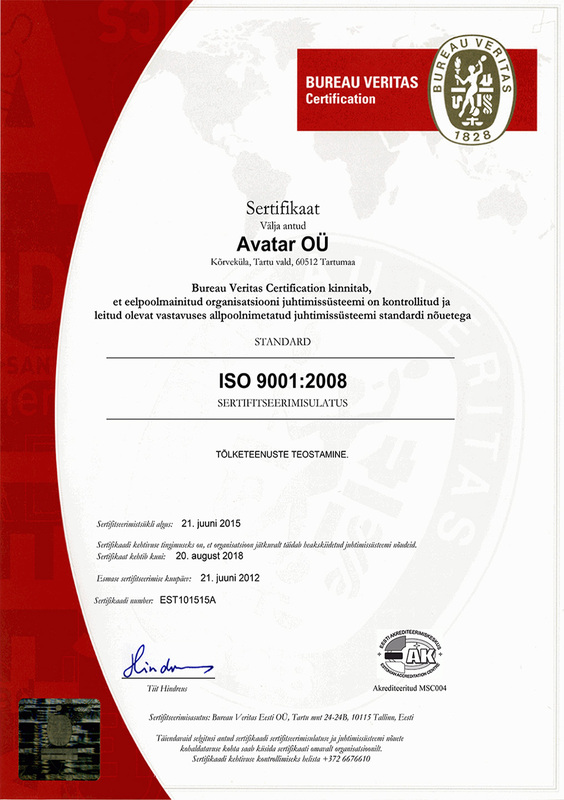 Avatar Translation Bureau also holds the certificate for the Quality Management Standard ISO 9001:2015 developed by the International Standards Organization. This standard specifies the requirements for the quality management system. So far, Bureau Veritas Eesti OÜ has certified the work and activity of Avatar.